Dr. Stephanie J. Kim is an Adjunct Assistant Professor in the Masters of Arts in Teaching Program at the USC Rossier School of Education. Her research interests include community, school, and university partnerships for school transformation, improving student engagement and motivation by accessing students’ funds of knowledge, and the potential of dialogue to create new cultural models and cultural settings in the classroom. Prior to joining the USC Rossier School of Education, Dr. Kim served as an English-Language Arts and English Language Development (ELD) teacher in both the ABC Unified School District and Anaheim Union High School District. 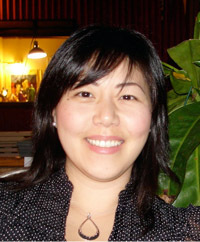 During her teaching tenure, she also served as the chair for the ELD department as well as an educational consultant for Cal State Fullerton’s Fullerton International Resources for Students and Teachers (FIRST) program, providing professional development around issues of culturally relevant pedagogy. She received her Master’s Degree in Education from the University of California at Irvine and completed her doctoral studies in Educational Leadership with a concentration in Teacher Education in Multicultural Societies (TEMS) from the University of Southern California. This course prepares candidates to integrate literacy with their secondary students’ construction and development of content area enduring understandings. Candidates will become ongoing decision makers across instructional contexts through the application of theory and promising instructional practices for diverse student populations. This course highlights facilitation, mediation and intervention in the development of literacies and language integrated within the content areas. The course foregrounds the connection between language and literacy as a vehicle for developing content knowledge and articulating one’s thinking and learning.